Windows 10 is poised for a late July release and Microsoft is hard at work making sure the OS will be functional by then. While Microsoft never revealed a concrete launch date—only that Windows 10 would be out by the summer—AMD CEO Lisa Su announced the launch plans for the OS in an April earnings call. While Windows 10 should be able to avoid a disastrous launch riddled with bugs, some have said that the July launch window might be too soon to make sure the launch goes off without a hitch. Microsoft is currently towards the end of the coding stage. 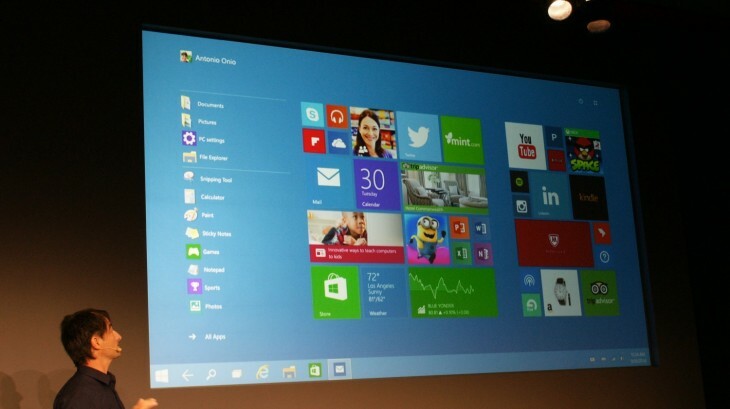 After that is the stage where Windows 10 is placed in the launch state and the company begins cleaning house on bugs. It should be noted that Windows 10 will be available only on PCs and laptops to start with other versions of the OS filtering out later in the year. By the time Windows 10 hits tablets, smartphones, and newer PCs and laptops there should be updates that implement more features and remove some lingering bugs.